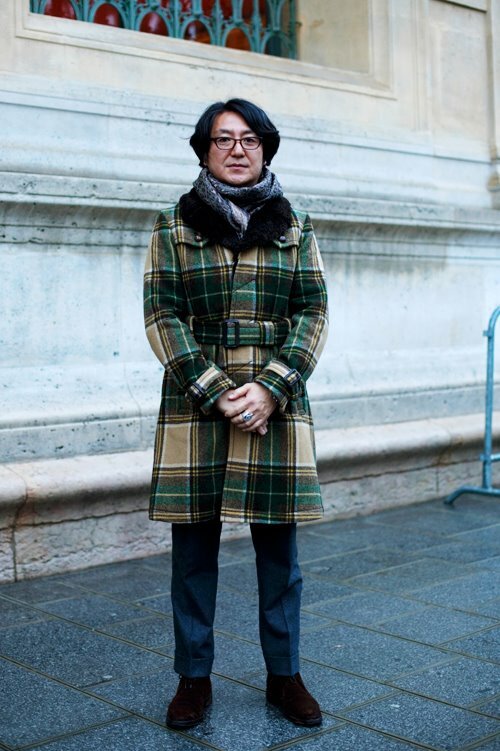 I love this mix of old-school Italian (pants and shoes) and a Number 9 coat. To me this conceptually is such a cool mix. Imagine Dries with Kiton, Jil paired with Boglioli, or Lanvin and Borrelli. Good look,i feel style from this person,who doesnt scared to mix clothes.I agree with you about his pants and shoes,and plaid coat. I love the coat! Nice pant length too. ah, the ubiquituous brown suede shoe. after reading your opinion that a brown suede oxford is a must have, I convinced my husband to purchase brown suede boots just like this. I love the plaid, and how the cut, fit, accessories, and colors give him edge in what could be considered otherwise old-school. love the patterns and colors.. but doesnt the jacket seem like a very feminine cut? 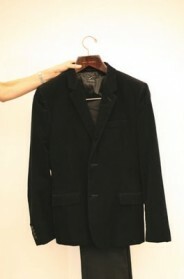 It almost seems like it is a womens coat! What is a “Number 9 coat”? So nice to see some colour this season! The only facet I’d personally change would be the scarf. I think I had a coat like this in the sixth grade. And I’m a girl. I’m beginning to like these pants more and more ! Great combo with the coat ! That coat is epic. The colors are amazing! I can’t stand it. Number (N)ine is a clothing company from Japan. I’ve seen that coat up close (work in retail) and I must say that it looks 100 times better on him than anyone else I’ve seen with it. Number (N)ine is perfect – every detail, every occasion. I am salivating while I type. I like the fabric of the coat, but the fit could use some tweaking. The belted torso comes off as bit feminine in this case. Suede shoes look great. it looks like a 1970s women’s coat. What exactly is wrong with looking feminine? I think the the shape of the coat is what makes this outfit so impressive.